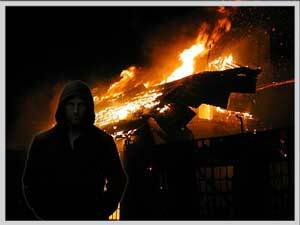 Arson is a criminal act that consists of the intentional setting of a fire to a building, dwelling or other area. Charges may be applied in many instances where a property has been destroyed by a fire that was either intentionally or recklessly caused by a person who does not own the property; or where others were put in danger, regardless of who owns the property. The severity of the charge increases depending on the degree of damage to the property, or if there had been bodily harm or fatalities involved in the act. These charges are rather significant and may include incredibly hefty fines as well as imprisonment. The monetary loss from arson experienced by Toronto neighbourhoods every year is astonishing. This is why arsons are carefully examined by insurance agencies as well as regional or provincial departments to attempt to determine the origin of the fire. The intentions of the accused become very important in an arson case. When a fire or explosion is found to have occurred with the intent to defraud, an accused person can face up to ten (10) years of imprisonment. An accused person who has possession of incendiary material or devices, or explosive substances, for the purpose of committing arson can face up to five (5) years of imprisonment. When an intentionally set fire is found to be involved, aggressive effort is undertaken to identify if anyone was connected with the crime. A skilled and experienced lawyer with The Criminal Law Team can advance legal arguments in defence of the accused person in order to challenge the Crown’s evidence of intention. Our knowledge and legal expertise has resulted in the successful reduction of criminal charges. If you or a loved one is under investigation or have been arrested or charged with arson do not hesitate in retaining one of our qualified Toronto criminal lawyers to act on your behalf. Our legal team is experienced with planning a solid defence strategy in situations involving arson. Click here to get your free consultation with a Toronto criminal lawyer for additional details on how to defend your rights.